How to Make Money as a Singer: Get Paid £££s for Singing to Earn More ! ‘Making it’ as a professional recording artist is famously difficult and, even for the most talented, it can take time. To keep the plates spinning in the meantime, you are going to need money (to live and to promote your music). For those with the right mix of talent, dedication and luck, there is certainly potential to make money singing. But how do you get paid to sing? Read our tips below. Venues, managers and labels are contacted by huge amounts of fresh talent every day, but the individuals who actually make an impression are those who are already pro-actively seeking opportunities to self-promote and gain experience. Often the first hurdle faced by budding artists is to find platforms to perform, but with just a small amount of research it should be easy to locate venues appropriate to your level of experience and confidence. It’s best to tackle the broadest possible variety of performance set-ups: intimate inside venues, outdoor events, accompanied by a live band, or with a backing track, etcetera, in order to make yourself a more versatile performer, and therefore more appealing to managers and labels later on. 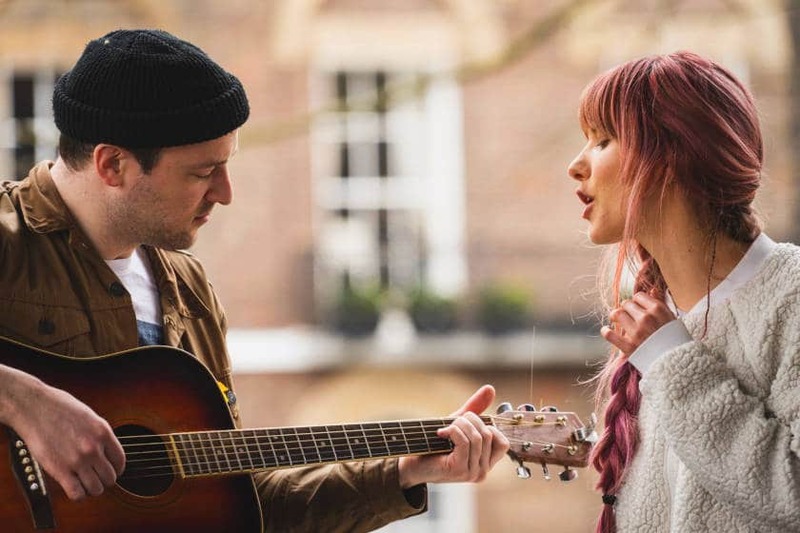 Busking is a great option for musicians early in their career, not only to earn money singing, but also to gain confidence at performing and responding to a live audience. Busking requires minimal pre-planning, and avoids the necessity of actually approaching a venue to request performance space. The income can be somewhat unpredictable, and depends heavily on factors such as foot traffic, the weather, and even the time of year — so choosing the right time and place is essential. In the UK it’s legal for anyone over the age of fourteen to busk and accept donations from the public, although some areas are covered by by-laws, which require street-musicians to have a busking licence that is normally obtained from the local council. So, it’s important to do a small amount of research into local regulations before you take to the streets, but otherwise busking is a great, and often profitable, introduction to live performance. PRS stands for the ‘Performing Right Society’, who collect royalties for artists when their music is broadcast, played in public, streamed or downloaded. You don’t need to be signed to a record label in order to register for the benefits of PRS, but you must be identified as the copyright owner of the music to be eligible to receive royalties — which is a massive incentive to create your own music, rather than simply relying on covers. You can sign-up to PRS as a writer or publisher via their website, and begin receiving royalties on the quarterly distribution dates. Head to the “Join” page and select either “Join as a writer” or “Join as a publisher”. Follow the steps provided — we recommend reading the Terms and Conditions section thoroughly to avoid surprises. There is a one off membership fee of £100 for writers and £400 for publishers and there are a number of conditions you will need to meet before you can join. ‘Sync’ is the industry term for getting your music utilised by other media formats, such as adverts and television shows (for which you receive royalties via PRS). Artists can receive considerable fees and exposure for securing such a deal; even if just one of your songs is played on a widely-broadcast platform, it provides an invaluable opportunity for thousands of potential fans to be introduced to your work. Caution: Shameless plug ahead!Continue reading below. An obvious way to gain exposure and recognition is by attending open-mic evenings in your local area. Although you can’t necessarily expect to get paid in circumstances like these, if venues are impressed by your open-mic performance, it’s likely they will consider you for paid entertainment work in the future. What’s more, gaining any experience of live performance is invaluable to your development as a musician, and making yourself more widely known. Most venues will have a Facebook page or website where you can find information about any up-coming live music events where you could perform. For singers, open mic nights may not be quite on a par with an actual gig, but playing at an Open Mic night will have its benefits for you. Your best bet would be to scout out which venues in your local area host the events, then try and attend maybe one or two every week. If you are serious about a career in the music industry then performing at open mic nights for singers is a must! Parties, weddings and corporate events can all provide attractive opportunities for emerging artists to earn some respectable money. The most obvious way to emerge on the private events scene is through self-promotion — by word of mouth amongst your friends, family and acquaintances. Then, once you’ve made enough successful appearances, its likely new customers will begin to seek you out. It’s important to make yourself easy to contact: consider creating business cards to distribute at events, maintain a polished social media profile, and ask satisfied customers for references you can use to advertise yourself. It can also be worthwhile to build relationships with wedding and events planners who can recommend you to their clientele. Although, it’s worth noting that such events will normally require you to perform covers, rather than your own songs, so you may need to find other avenues to showcase original material. Nowadays, a strong online presence is just as important as a live fanbase — even for artists in the earliest stages of their career. YouTube and Spotify offer global platforms where your music can be listened to and shared by vast numbers of people. However, the amount artists that are paid per stream on apps like Spotify is very small. 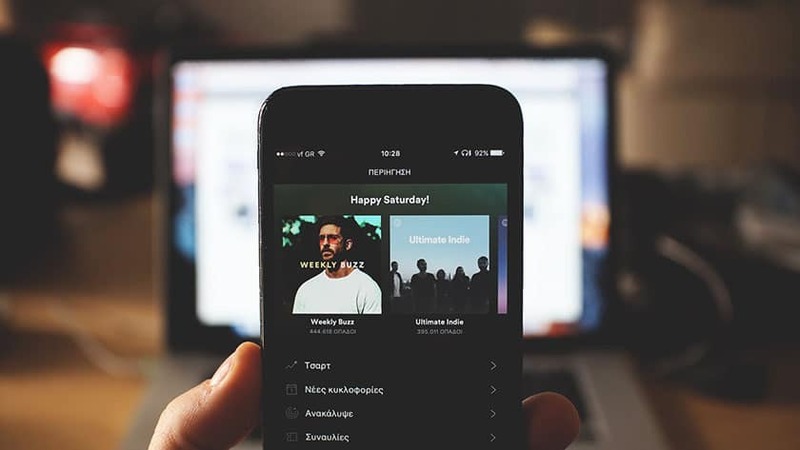 You need to build up very large numbers (millions) of streams in order to make any substantial profit; the main way to reach such numbers is to get your songs included on popular playlists. You can contact playlist curators and music bloggers directly to see if they’re willing to promote your work. It’s also possible for musicians to use websites like YouTube to make money through advertising. Although, you need to be achieving high volumes of views on your videos before this becomes a viable option. Some ways that you can increase traffic to your page include enabling channel recommendations, using relevant tags on videos, and creating video playlists so it’s easy for viewers to navigate your content. It’s also worth remembering that you need to actively opt-in to begin monetizing your videos — YouTube has created a freely accessible tutorial video to help you get set up. Once you’ve developed a strong enough following to fill smaller venues like pubs and hotels, you might want to consider gigging. You’ll need to research venues that cater for your style of music, then be able to provide them with evidence of your ability to perform, such as a demo, and an indication of a strong social media following. Alternatively, you can present yourself to a promoter who will take you on, and organise gigs on your behalf. Having connections with other, especially more established, musicians can be very helpful at this stage; supporting other acts or ‘gig-swapping’ (performing at another artist’s gig) is a great way to get started with gigging, and expand beyond your local area. If you’re just starting out, its likely venues will offer you a pre-agreed fixed payment (regardless of how many people attend) or a door-split deal (percentage of ticket sales). Inexperienced artists are rarely offered huge sums of money to perform, but even attending small, low-fee gigs is a vital step towards forging a professional music career. 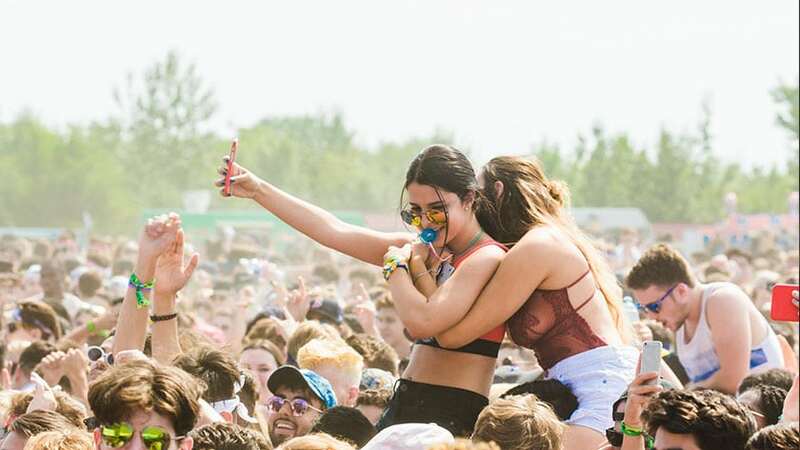 If you want to get involved with the extremely competitive festival scene, it’s first worthwhile conducting some thorough research into the festivals that cater to your type of music, and level of experience. Be selective about the festivals you apply for: aim to start small and local — local festivals are often more interested in promoting home-grown talent, and every appearance is a valuable addition to your CV. Promoters will usually only consider an act for festival work once they’ve built-up a lot of experience entertaining audiences at less challenging indoor venues, and are capable of pulling off a well-polished show. Every festival will have its unique application requirements, but you’ll probably, at the very least, be expected to provide an artist’s bio, some recordings of your music and ideally some examples of live performances: high-quality videos or press-photos. It’s also likely that the bookers will assess your social media pages as part of the application process. Have you made money singing? What works for you? How to Sell Music on iTunes — The Right Way!